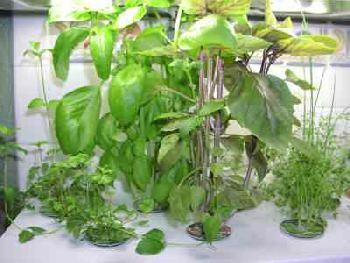 We love fresh herbs for cooking and highly recommend a unique indoor hydroponic herb gardening kit called the Aerogarden. You may have seen potted basil or chives at the supermarket and snagged them for homemade pizza or scrambled eggs. But they didn't last long, did they? Why not do like we did and get this kit so you have a perpetual herb garden sitting on your kitchen counter? This attractive herb gardening kit also adds a bit of color and life to your kitchen. Although the manufacturer states you can grow herbs, cherry tomatoes or salad greens, we dedicate ours to culinary herbs only. 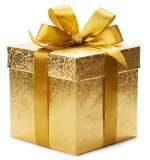 Please note that ours is an older model, bought a few years ago, but still going strong! The newer version is black and uses an LED lamp instead of compact fluorescents. Both lights work fine for leafy greens and herbs. Basil- Probably our favorite! 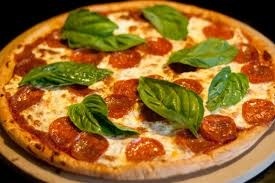 We have an outdoor pizza oven and love to add fresh basil leaves to our pies. 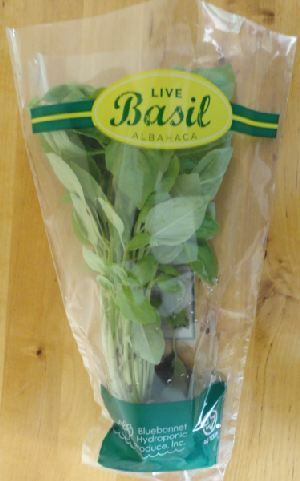 Basil is excellent in all Italian tomato dishes or in pesto butter dipping sauce with crusty french bread. Chives- Chives provide a mild but tangy onion flavor which is relished on sour-cream topped baked potatoes, or scrambled eggs. Dill- Dill is a unique flavor enjoyed in many types of dishes. We especially love it on salmon. Thyme- Fresh thyme is awesome in pork or lamb dishes. Experiment with it in soup and meat sauces. Cilantro- Cilantro has enjoyed a burst in popularity in recent years. It is tasty in stir fries, Mexican dishes and Guacamole salad. Oregano- Another herb favorite in Italian and Mexican cuisine. Fresh chopped oregano added to spaghetti sauce is a delight! 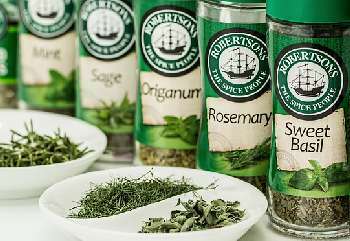 Once you have tasted savory fresh herbs in your dishes, you'll never go back to the dull, dried out, tasteless bottled spices. Hydroponic Gardening in a nutshell here. 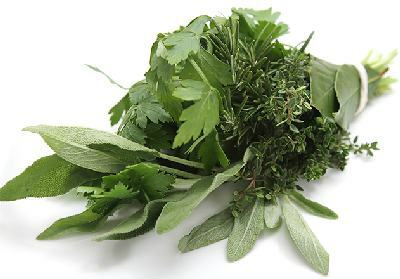 How to grow Medicinal Herbs here.